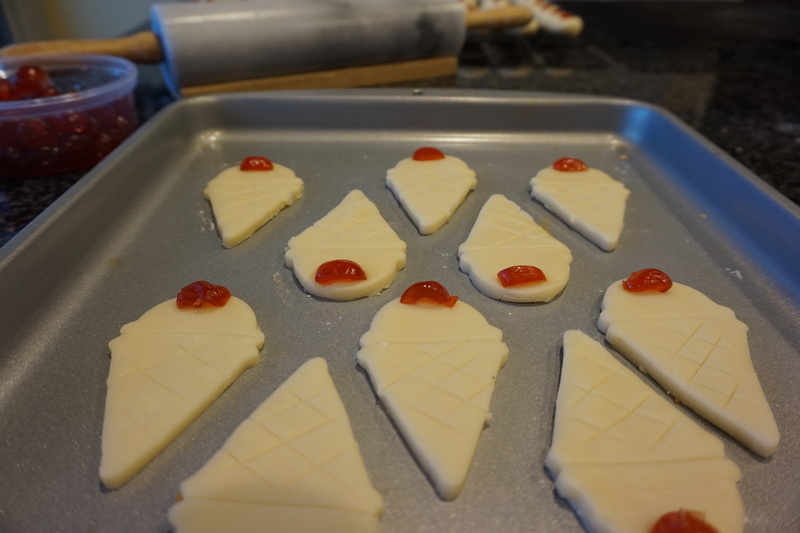 Shortbreads two ways – because Grandmas know best! 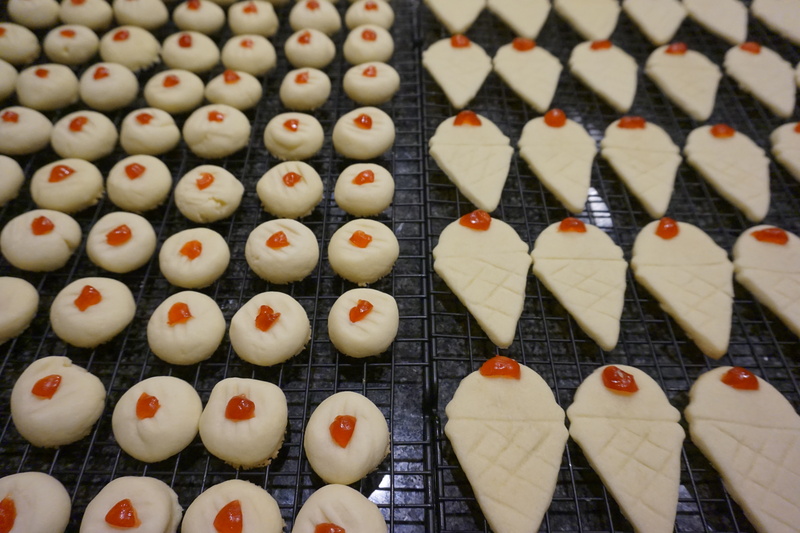 Growing up my Mom’s mother, Grandma M, made roll out shortbreads with a slice of cherry on top, cut into hearts, diamonds, clovers, and clubs – like playing cards. 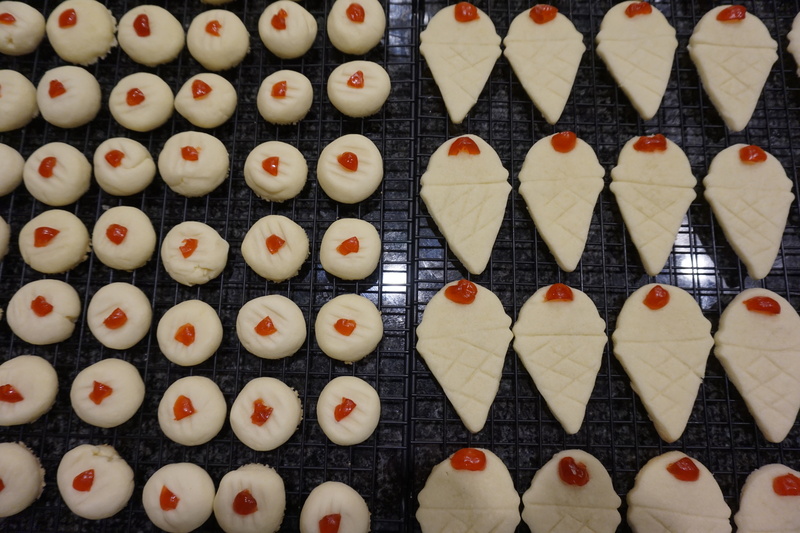 Of course, when my mother grew up and had kids, she followed the tradition making the same cookies in the same shapes. As with all Christmas cookies, I was allowed the broken or odd shaped ones, the pretty ones were for guests! So, naturally, I spent a lot of time distracting my mom and “accidently” breaking cookies while I helped with the baking. My mom always makes a lot of her Christmas treats in advance and fills the freezer, something I do now as well. These cookies, in particular, were best when snuck straight from the freezer…whenever one could get the chance! 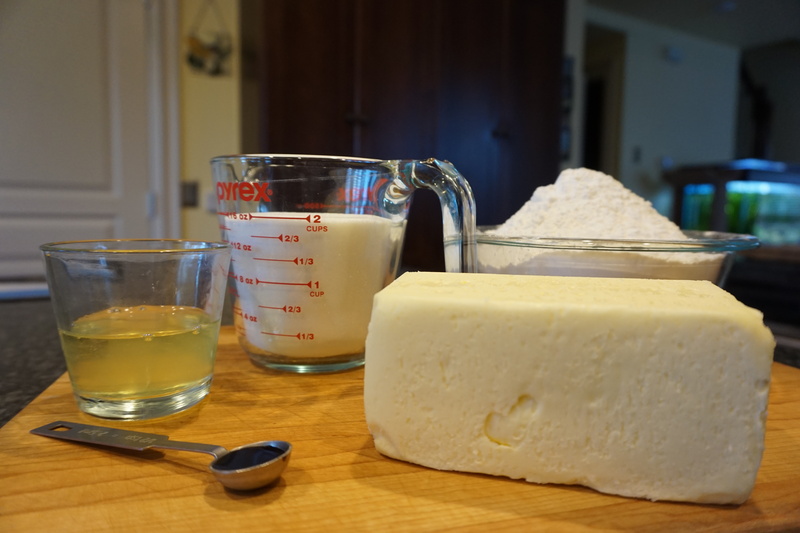 Now my father’s mom, Grammie, made a different shortbread; a buttery, melt-in-your-mouth type. Growing up, we always had a variation of these at Christmas as well, though not her exact recipe. 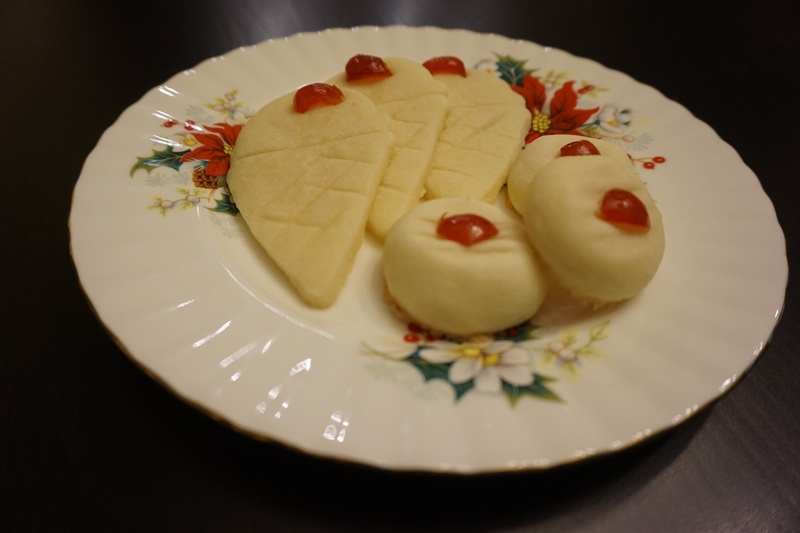 These cookies were always simple and round with again, the little cherry on top, and perfect dipped in a cup of tea. Our house was divided as to which was the better shortbread, my dad, of course, preferring the later, after all, mom knows best – right? As a neutral party, and growing up with two delicious options, it’s just not Christmas to me without both of these shortbreads. I hope you enjoy these recipes as much as my family always has! 2) Add dry ingredients, scraping down the sides after each addition. 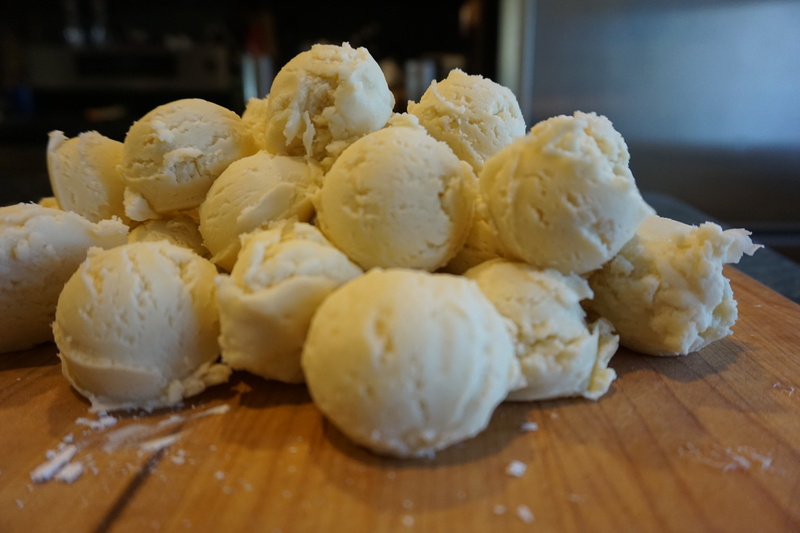 3) Roll into one tsp balls and place on an ungreased cookie sheet. 2) Add vanilla and then eggs, mix thoroughly, stopping to scrape the sides of the bowl to ensure the egg has fully mixed in. 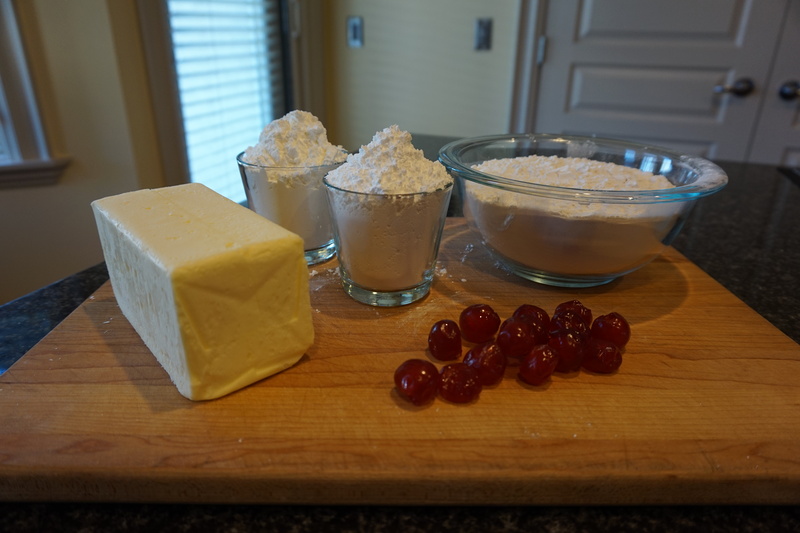 3) Add flour, one cup at a time until incorporated. Scrape the bowl again at the end and give it one final mix to ensure there are no dry spots. 4) Roll out on a floured surface, about ½ cm thick and cut into desired shapes. I went with ice cream cones this year; I like these to be the odd cookie out among the rest of my traditional Christmas baking. 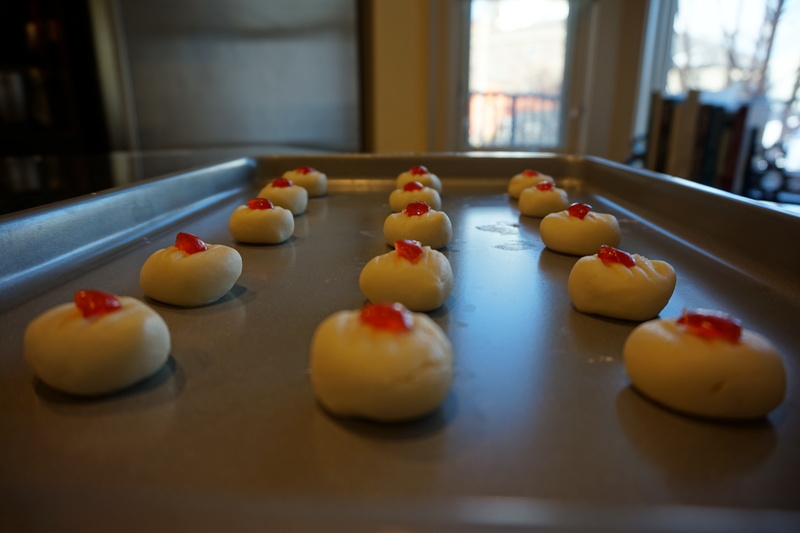 5) Place on an ungreased cookie sheet and top with a cherry slice. 6) Bake at 325 degrees Fahrenheit for 10-12 minutes. Watch closely as they overcook easily! My army of cookies are headed for the freezer in zip-lock freezer bags until Christmas, except these guys below, I’ll handle them!